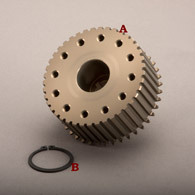 EVO-5T | Belt Drives, LTD.
Our 3” drives are made out of 356-T6 aluminum. All pulleys are cast in our own foundry and completely machined in house. Our ongoing quality control ensures that every pulley will be exact in every aspect, as our customers have come to expect. 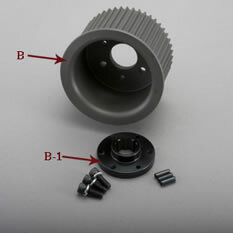 These drives are supplied with our “Competitor Clutch” and spring pressure plate. Kit fits 1984-1989 Rubbermount kick-start only.